This statistic presents the number of retail chains by sector in Czechia in the year 2018. 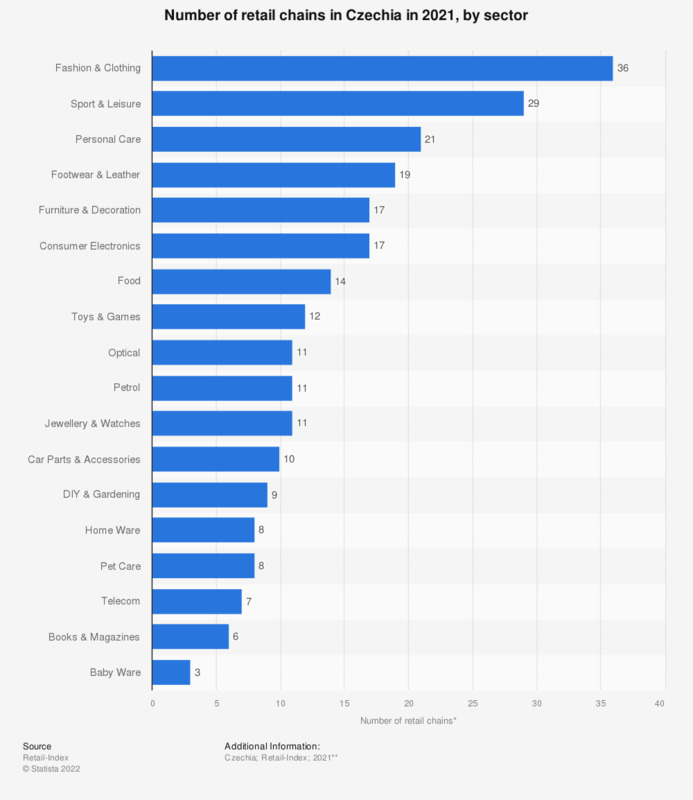 Fashion and clothing was the leading sector, with 38 chains out of the total of 191, followed by sports and leisure with 30 retail chains. Personal care was ranked third, standing at 22 chains, while the baby ware sector showed the smallest amount, with two retail chains.